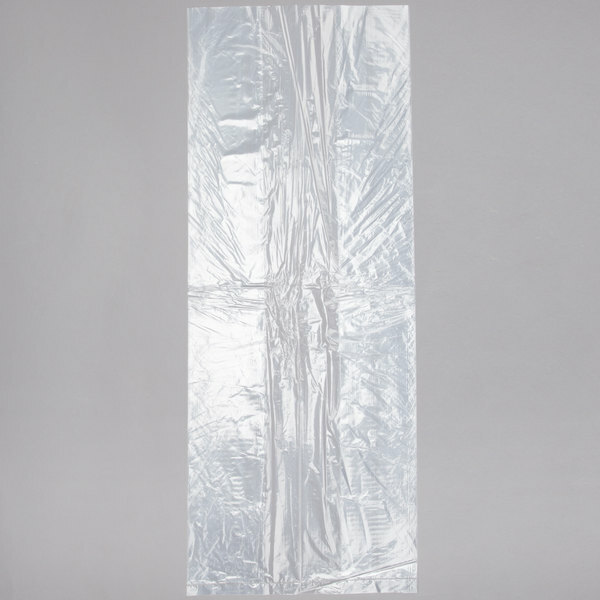 Designed with chef and catering professionals in mind, this Elkay Plastics 10G-128030 12" x 8" x 30" heavy duty plastic food bag with gusset is perfect for the foodservice industry! Manufactured from 100% virgin resin, this plastic contains no animal fats or heavy metals and is FDA-approved for safe food service, storage and handling, allowing you to safely store a variety of miscellaneous items ranging from bulky food components and raw materials to kitchen cleaning supplies. Go with a bag that gives you convenience and durability. 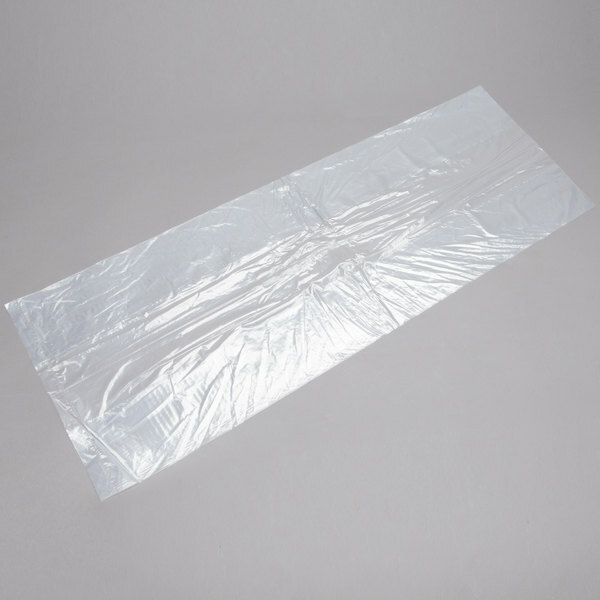 Linear low-density polyethylene (LLDPE) gives you increased flexibility, tensile strength and conformability, making this bag less susceptible to tearing and puncturing. Made of LLDPE resins for maximum clarity, content identification will be fast and easy, keeping you up to pace in your busy kitchen or restaurant. 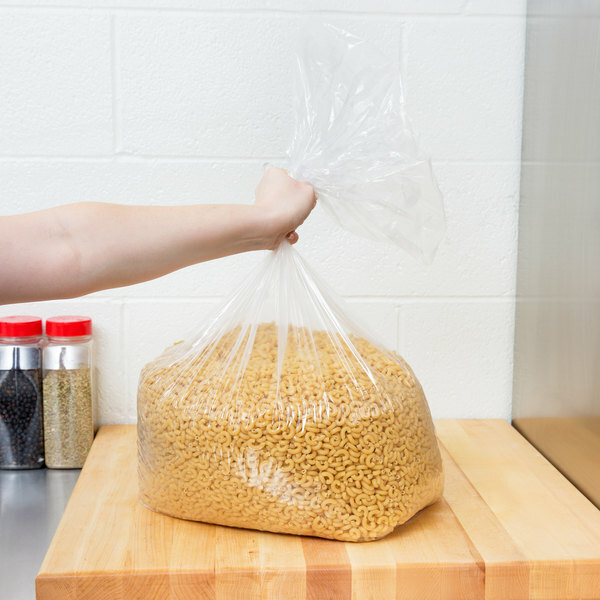 This bag also comes in compact "size on size" packaging where the carton is the exact size as the product, saving you counter and shelf space. The stackable, one-at-a-time dispensing system also ensures easy access and waste reduction. These bags have been perfect for storing pizza dough all the way to ice. These bags have been so durable carrying a variety of products that we keep ordering them. I love these bags. They are great for storing large items such as pre-made pizza crusts, large rustic breads, bulk produce and any non food items you may need a large bag for.